This is far from the first time I’ve written about something coming in the future. This, however, blows past any and all previous bits of foreshadowing that have taken place here in the last year and a half. Tonight was a big night for the city of Boston. Boston was just selected as the bid city for the 2024 Olympics. So here’s what that means: When the official worldwide applications are made for these Summer Olympics over the next year the United States will be pitching Boston as the host site. Boston beat out Los Angeles, San Francisco, and Washington DC for the honor. Here’s where the waiting game begins. The announcement of who actually gets these Olympic games won’t happen for a while. Like, a while. The official announcement will be made in September 2017, or more accurately, four months after I graduate from college. So there is a lot of time to go. There’s also a lot of time to figure out who will be competing with Boston for the games. Rome is the only city that has formally applied thus far. There are, according to Deadspin, eight months left for other countries to make their pitches. Now comes time for the important question: Is this a good thing? The immediate reaction is yes by the eye test. Boston just got a lot closer to hosting the Olympics. That’s a no messing around honor. As a spectator event the thought that the games would be held in Fenway Park, TD Garden, Harvard Stadium, Boston Common, maybe even Agganis Arena (next door to my dorm room) is genuinely awesome. But that’s a very superficial take on it all. The real question is if this is a smart idea for the city – especially from a financial standpoint. It’s not a great sign that just a few months ago the Boston Globe posted an article talking about how Boston Mayor Marty Walsh was concerned with the possible cost to the city. When the public face of the city is a bit uncertain that doesn’t scream positivity. As is the case with past Olympic games there have been skyrocketing costs for the host city. Beijing and Sochi, hosts of the 2008 and 2014 games, saw astronomically high costs as the host venue. Boston would, in theory and by trend, look to spend billions on the games. Barcelona in 1992 was the last Summer Olympics that didn’t cost at least a billion. I realize that it’s not the same thing, but the World Cup is comparable to the Olympics in that it is a gargantuan, international sporting event every four years. The World Cup has similarly caused massive costs for hosts, as explained by John Oliver below. I promise that wasn’t just an excuse to watch Last Week Tonight again. The points raised about the costs of new stadiums and venues is one that would raise concern for many host cities. But, and this is important, Boston might be an exception. Boston might have the inside track on this as a gigantic American sports market. Again, look at the list of venues I mentioned three paragraphs ago. That’s just a list I came up with off the top of my head. The reality is that the city can borrow venues from the Red Sox, Celtics/Bruins, Patriots (despite Gillette Stadium being outside the city), Boston University, Harvard, Boston College, and MIT at the bare minimum. That’s a huge advantage. Other venues needed to build multiple stadiums for the sole purpose of the Olympics. Boston would just need to borrow some of their pre-existing ones or get creative (Boston Common for Sand Volleyball?). This makes the cost dip significantly, at least early in the game. And that’s the key. It’s really easy to make up one’s mind upon hearing that Boston might host the Olympics. That underlined word means a lot too. It’s no use to get overly worked up on one side or another. 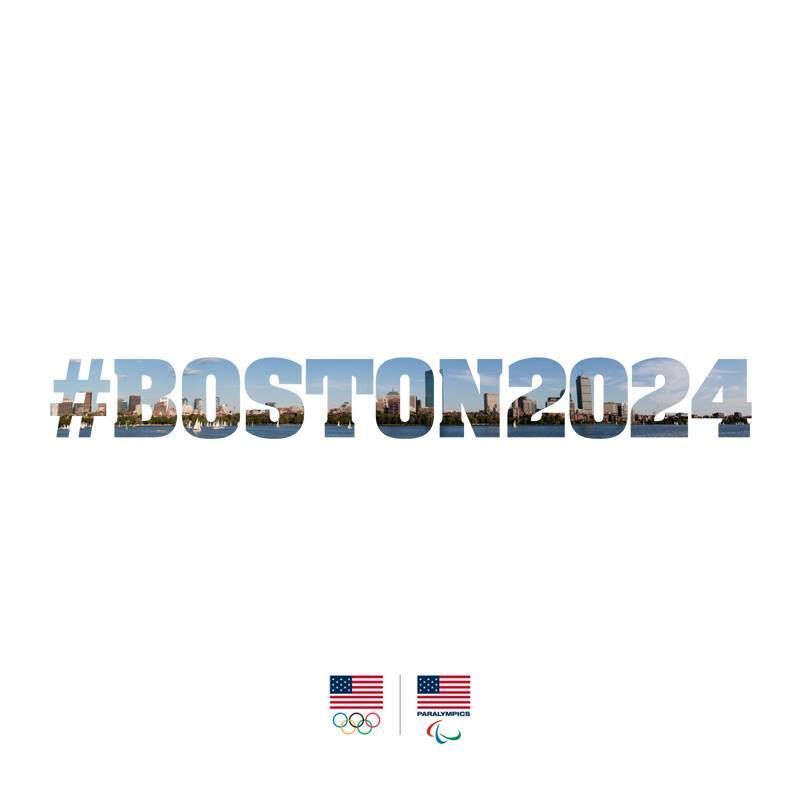 There are over two years left until Boston can get officially excited or disappointed about hosting the Olympics. Tonight is when the city can be proud that it was picked to be the bid city. That’s cause for celebration regardless. The question of whether or not this is all a good idea can wait for now – it is far from an immediate concern. The immediate reaction is that the chance for something really special just got real. A chance is always fun. So be happy tonight. Let’s worry about logistics later.